Do we need to turn off technology altogether? Lauren Bacon and Rohan Gunatillake give tips on how to rethink your use of technology, without having to unplug completely. With the National Day of Unplugging having just wrapped up (if you didn’t know, it started at sundown yesterday and ended at sundown today), Lauren Bacon and Rohan Gunatillake’s SXSW talk on the “unplugging” fad being mulled by so many who feel overwhelmed by technology came at just the right time. Gunatillake says it’s simple. 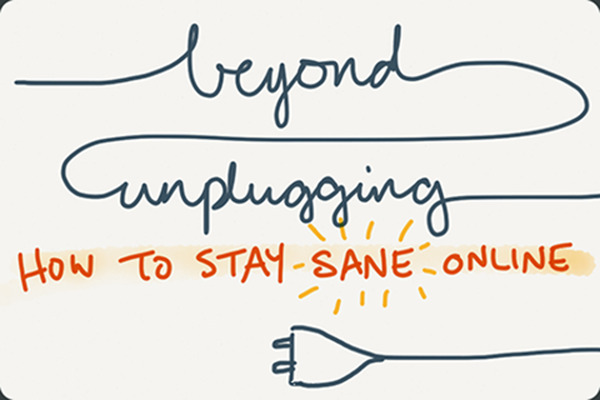 “What about technology gives you the most anxiety?” For him, the fear in unplugging is based on what he might miss during the period of darkness. If there’s a way you can minimize the usage of a particular medium or technology, try doing it. Also, Bacon suggests taking time to “become more aware of what your body feels like when you’re using a device” and adjust accordingly. But take advantage of this while you can, before wearables begin to dominate mobile devices. Drawing inspiration to make small transformations in her tech-filled life, Bacon relies on the BJ Fogg behavior change model. “If you want to make a change, make it so stupidly simple that you can’t not do it,” she said. Wanna start by keeping your smartphone out of the bedroom so that you can sleep better? Try it for an hour or two before going all in, and you won’t fail. If you want to get rid of some stress in your life, avoid multi-tasking. If you can’t fully enjoy and experience a longform article on your iPad while you’re Facebook messaging on your phone and Netflix-ing House of Cards, don’t try it. Focus on consuming one type of media at a time, and it’ll ease the anxiety, Gunatillake said. “Is email the best method for this conversation?” is a question Bacon often asks herself. As long as it’s not a group thread where everyone should be looped in, your time spend typing 700-word email manifesto explaining a concept or answering a question may be better spent if you just made a quick phone call. Besides, it helps you and the person on the other end be more productive. If you find yourself becoming anxious over the sheer volume of messages you have to sift through, take them one at a time and find a way to make your responses thoughtful and warm — but brief. Then, move on. 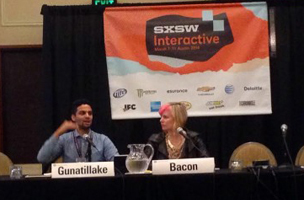 “Is the answer ever to turn off technology altogether?” audience members wondered at SXSW Interactive. Maybe, the panelists agreed. But, as Gunatillake said, “we live in a noisy world,” and that’s not changing, so in the meantime, get to the root of why technology/social media is overwhelming you and remain mindful while engaging with it. Coming up for tomorrow’s dispatch from Austin: “Accurate, Fair & Safe: The Ethics of Social News” featuring top editors from Digital First Media and the AP, and “Instagramming the News,” with Time Magazine’s director of photography.